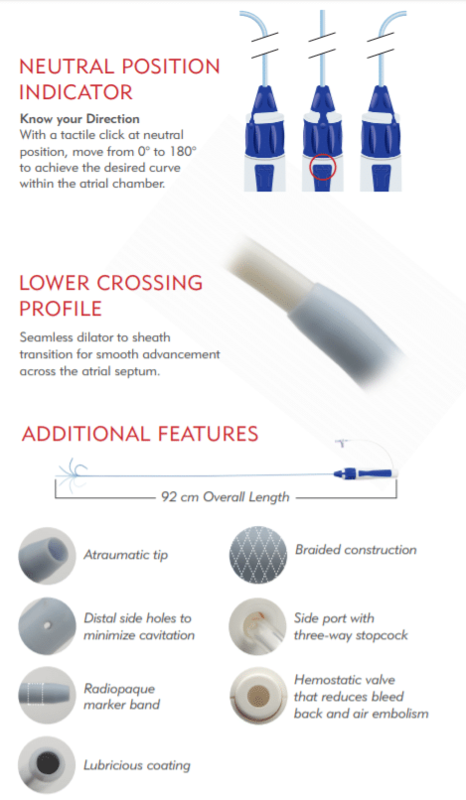 The HeartSpan Steerable Sheath Introducer is designed to offer a softer, flexible tip to reduce the risk of atrial wall perforation. The braided construction provides kink resistance and curve durability during Atrial Fibrillation procedures. When navigating cardiac chambers during Electrophysiology (EP) procedures, the sheath is designed to deliver an ergonomic and comfortable control for more precise deflection. The Steerable Sheath is designed to work in unison with the HeartSpan Transseptal Needle.